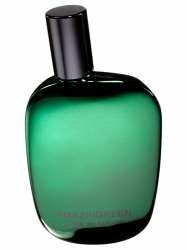 Comme des Garcons Amazingreen is Launched in 2012, An aromatic green fragrance for men, Aquatic, crisp, sharp & enlivening, Top notes of palm tree leaves, green pepper, dew mist & jungle leaves, Heart notes of ivy leaves, orris roots, coriander seeds & silex, Base notes of gunpowder accord, vetiver, smoke & white musk. Recommended for spring or summer wear. The scent of gunpowder in an explosion of smoke and flint clashes with the green energy of the jungle and the effervescence of spices.